Our pages are intended to provide information about our firm and from time to time some general background on our legal practice. We hope they will be informative and useful but they should not be relied upon as providing specific legal advice. If you need specific legal advice, please contact our solicitors. We are committed to providing a service which is friendly, comprehensive, efficient and professional. We have established a track record in short time for being a multi-lingual community based firm able to respond to the legal advice needs of multi-cultural community in which it is based. In line with the current directions taken by the legal services we have developed specialised departments, which reflect the diverse nature and the needs of the community we serve. We pride ourselves in being a Firm committed to defending freedom and citizens’ rights. We take the two-steps-forward-one-step-back philosophy ensure total quality management and continuing improvement to our services. Despite the pressures of the modern society in which we practice today, we still preserve the traditional values of personal service. We welcome your comments on our service and would like to know if it meets your expectations. Everyone at our Company is committed to providing high quality service underpinned by good client care. 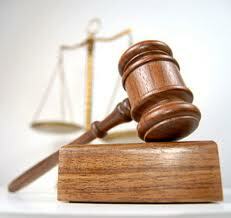 We sincerely hope our Firm will remain your first choice for all your personal and business legal advice needs.